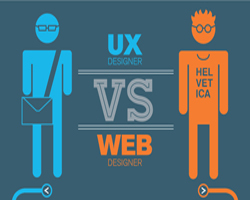 Here is another infographic for UX Designers and Web Designers.The infographic mentions some basic differences between a UX Designer and a Web Designer.What do you think? How about someone being both? I mean, a freelance designer? I am that both & I’m proud of it.